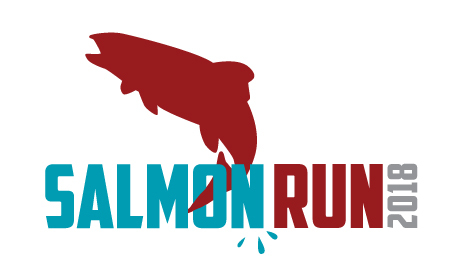 Join us for the 31st annual Salmon Run which returns to the Deschutes River Trail on April 7th, 2019. Distances include the half marathon, 10k, and 5k races. Taking place in the spring, this is one of the first half marathons of the season making it an essential part of the local racing scene of Central Oregon. 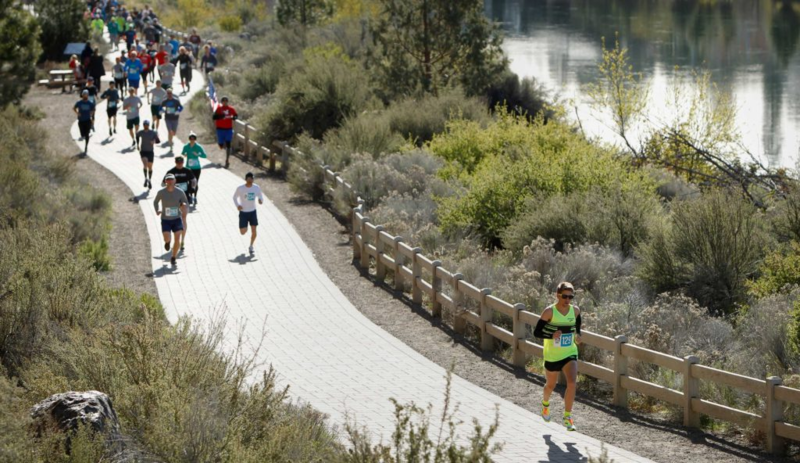 Traversing beautiful dirt and paved trails along the Deschutes River, the race course winds through some of the most scenic areas in town. The Salmon Run is a celebration of the salmon in the pacific northwest, making its arduous journey along our waterways every year. Have a "Little Fry" that would like to join in on the fun? Ages 3-10 can participate in their very own kids run that meets their ability - free with a registered adult! Post race celebration includes local food, beverages and awards. BYO Swag Bag to collect your goodies from our sponsors. 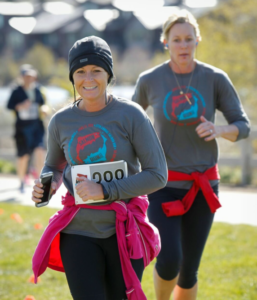 Half Marathon, 10k & 5k are a mixed of trails and paved paths. All races will start at the Athletic Club of Bend and travel along the Deschutes River, as the mighty salmon do. Delicious, beer to reward those of age, once you cross the finish line! Each finisher will receive a seed packet and medal.